Did you know that there’s a way to have the flexibility of private health insurance and get reimbursed for premiums from Apple Health (Medicaid)? The Washington State Premium Payment Program reimburses the cost of private health insurance premiums for certain individuals who would cost more for the state to cover under Apple Health. have private medical insurance available (e.g., through the individual’s employer or parent’s insurance) that is not purchased from Champus or Tricare, or with a subsidy through the Washington Health Benefit Exchange. under Apple Health (e.g., naturopathic doctors or chiropractors). Premium reimbursement for non-Apple Health family members, if determined cost-effective. 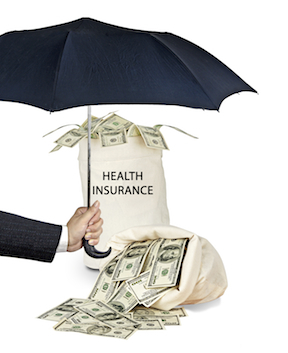 Private insurance is the primary payor and Apple Health is secondary, covering copays and coinsurance costs. Apple Health clients participating in the program will be reimbursed according to each family’s actual costs. A reimbursement check will be issued when the Health Care Authority (HCA) receives proof of private premium payment (normally, on a monthly basis). It can take up to 30 days to process your application after all necessary paperwork is received. Cost and type of insurance. Age and gender of family members with active Apple Health (Medicaid) coverage. Type of Apple Health (Medicaid) program. Email Melissa Bruce, or call (360)725-1572.